If anything can be said to link them it is that, though the writing is international – this is the fourth year that the Booker has been open to American authors, and the list also includes writers from India, Ireland and Pakistan – the designers are almost all based in Britain. (The exception is Colson Whitehead’s Pulitzer-winning The Underground Railroad, which merely adapts Oliver Munday’s design for the American edition.) So the list provides a pretty good snapshot of design for literary fiction in the UK at present. 4 3 2 1 by Paul Auster, Faber & Faber. Design by Luke Bird at Faber, photograph of crowds in New York celebrating VE Day by Herbert Gehr / Getty. 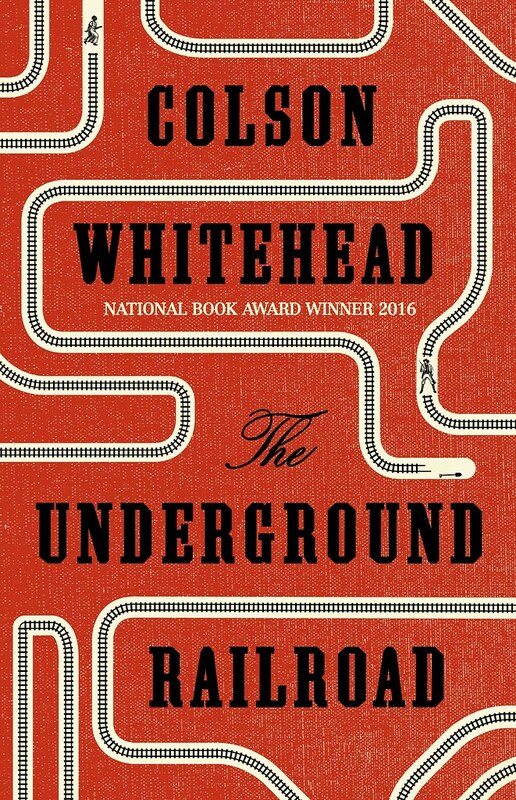 Top: The Underground Railroad by Colson Whitehead, Little, Brown. Design by Oliver Munday. 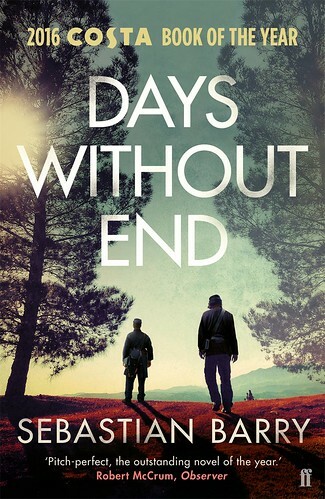 Days Without End by Sebastian Barry, Faber & Faber. Design by Luke Bird at Faber. 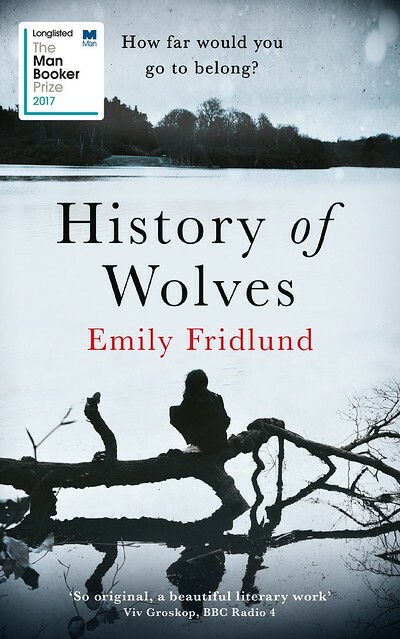 History of Wolves by Emily Fridlund, Weidenfeld & Nicolson. Design by Debbie Holmes at Orion / Weidenfeld & Nicolson; photograph by Nikki Smith / Arcangel Images. 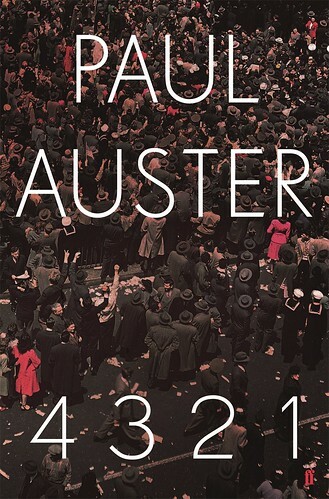 Perhaps the most striking this is how depopulated the covers are – the big exception being the mass of humanity Luke Bird has used for Paul Auster’s 4321. Otherwise, Sebastian Barry’s Days without End (Bird again) and Emily Fridlund’s History of Wolves (Debbie Holmes) feature readily identifiable human figures, but in both cases silhouetted against a landscape, without distinguishing features. 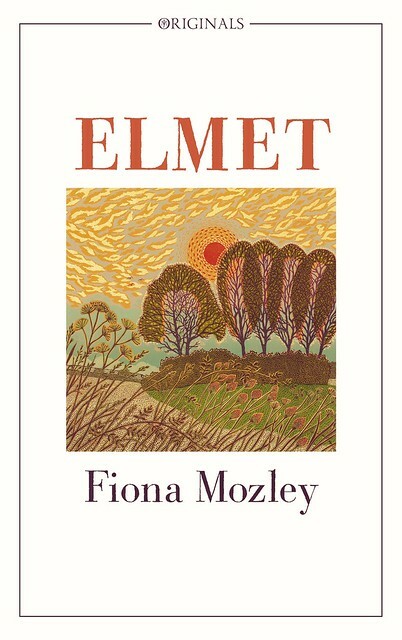 Elmet by Fiona Mozley, John Murray Originals. Design by Tom Duxbury at John Murray / Hodder; illustration by Vanessa Lubach, ‘Farewell to a Norfolk Summer’. 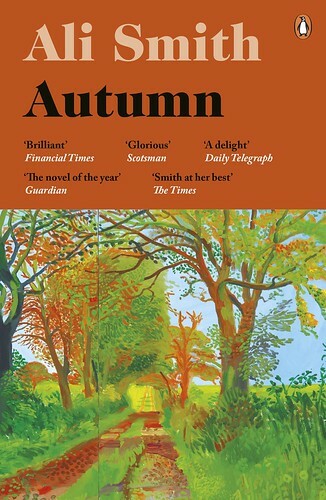 Autumn by Ali Smith, Hamish Hamilton. Design by Richard Bravery; image by David Hockney, Early November Tunnel. Swing Time by Zadie Smith, Hamish Hamilton. Design by Gray318 (Jon Gray). Exit West, by Mohsin Hamid, Hamish Hamilton. Design by Richard Bravery at Penguin Random House. 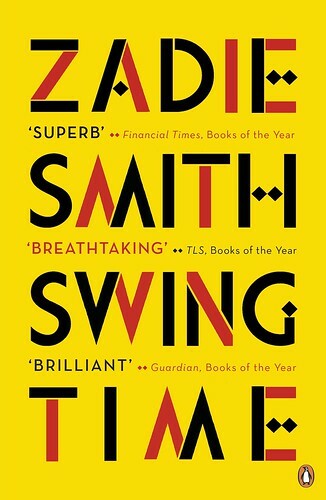 Jon Gray’s cover for Zadie Smith’s Swing Time is the only one that is purely typographic – infectiously jazzy, high-spirited black-and-red sans serif letters, with little diamond shapes decorating some of the letters and replacing the central bars of the ‘H’ and ‘E’. 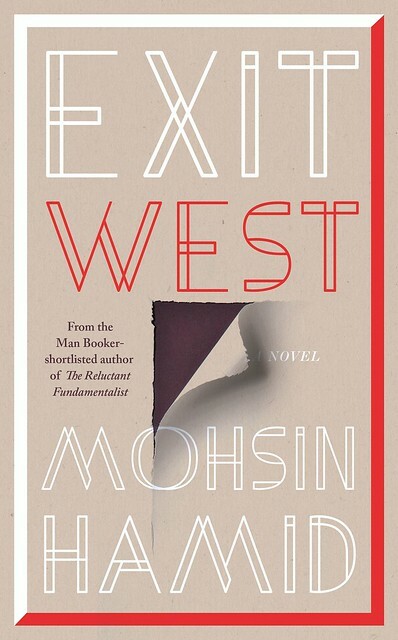 The lettering ‘f’ on Mohsin Hamid’s Exit West (another Richard Bravery design) has, perhaps, a distant family resemblance; but its white outlines give it a ghostly air. The only pictorial element is a trompe l’oeil tear in the paper – Sukhdev Sandhu, reviewing this story of migrations and transitions in the Guardian, described it as ‘full of wormholes and rips in reality’. 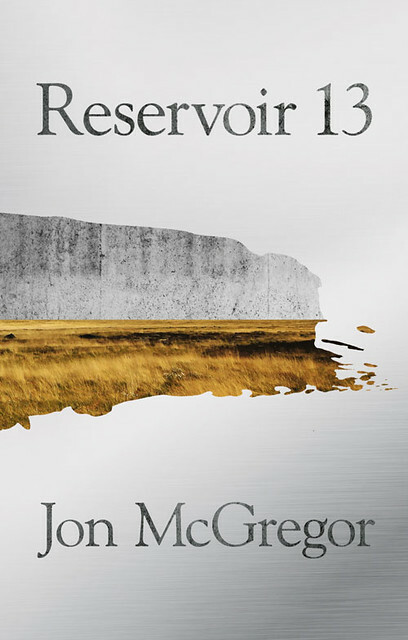 Reservoir 13 by Jon McGregor, Fourth Estate. Design by Julian Humphries at HarperCollins. Home Fire by Kamila Shamsie, Bloomsbury Circus. Design by Greg Heinimann, Bloomsbury. The Hamid is one of a number of covers that blur the boundary between representational and abstract. Julian Humphries’ design for Jon McGregor’s Reservoir 13 incorporates photographs, but wrenched out of context in a way that turns them into areas of texture and colour, dissolving into fragments toward the right hand side: on top, what appears to be panels of concrete fence; below, a moorland landscape. 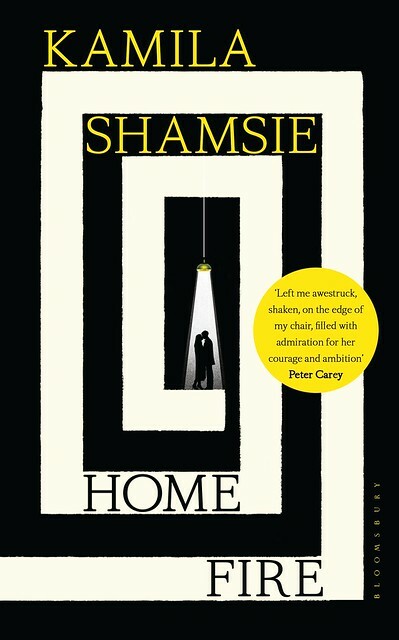 Greg Heinimann has produced a kind of maze for Kamila Shamsie’s Home Fire, in colours that consciously echo the flag of Isis; it takes a moment to realise that the shape at the centre of the maze is a man and a woman in a triangle of light. 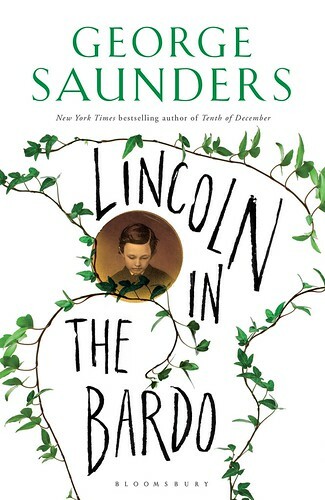 Heinimann also produced the cover for George Saunders’ Lincoln in the Bardo, in which ivy wreathes round an engraving of Abraham Lincoln’s dead son Willie. The bardo, in Tibetan Buddhism, is where dead spirits wait between incarnations; the afterlife is also at the heart of Mike McCormack’s Solar Bones: Rafaela Romayo’s design places the typographic elements over an abstract swirl of colour, but it has pictorial resonances – the rainbow eddies of oil in a puddle, perhaps. Lincoln in the Bardo, by George Saunders. Design by Greg Heinimann at Bloomsbury. 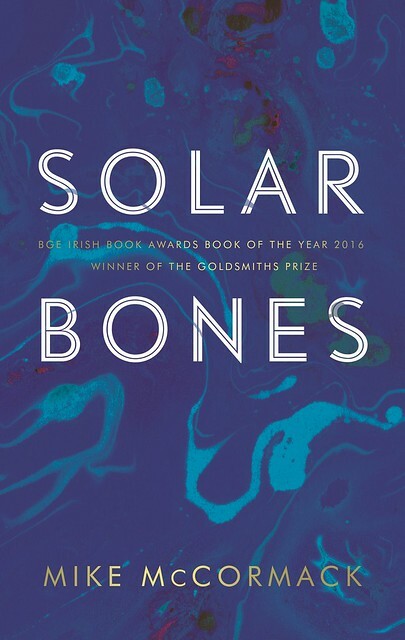 Solar Bones, by Mick McCormack, Canongate. Design by Rafaela Romayo at Canongate. More death: The Ministry of Utmost Happiness, Arundhati Roy’s first novel since The God of Small Things won the Booker twenty years ago, features a gravestone, but digitally abstracted and transformed. This is a rare example of author and designer collaborating: Roy asked David Eldridge, who designed the earlier book, to design this one; she commissioned the photographer Mayank Austen Soofi to take pictures of gravestone and sent him a selection, from which he constructed this image. The Man Booker shortlist will be published on 13 September 2017, see here. 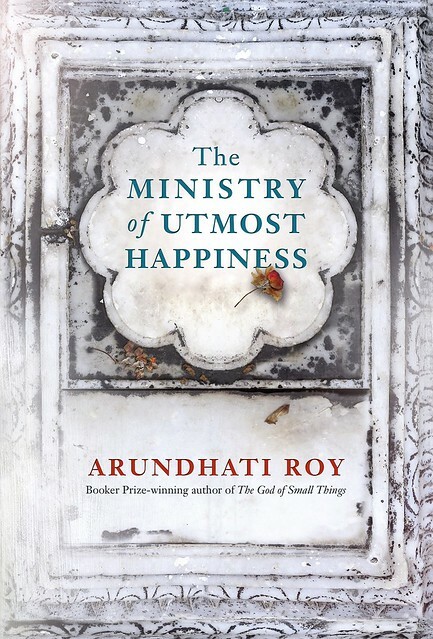 The Ministry of Utmost Happiness, by Arundhati Roy, Hamish Hamilton. Design by David Eldridge at Two Associates; photograph by Mayank Austen Soofi.